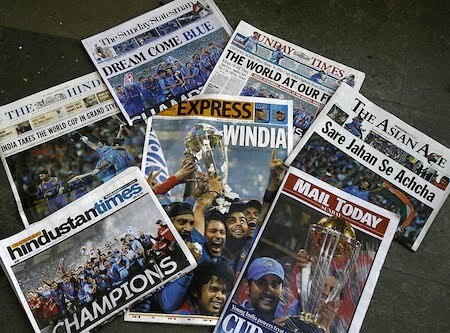 I was waiting to see Sachin’s 100th century knock and though he failed to score, he won the cup. Hard work always pays, he won the hearts of teammates and everyone played for him. I don’t think it would happen to any other player again. Even a player like Sachin caliber had to wait for 6 world cups to get hold of the cup teaches some important lesson we should learn. Well done guys, now go, find and groom bowlers for the sake of cricket.